I love the heel boots also. The leggings make the outfit though. Great style! I so know how you feel on the "cute shoes being ouchy" thing. Thank goodness for awesome skate shoes and flipflops! you are SO CUTE! love your outfit! Kandee, pls let me know when you put the watches on ebay! I would love to get one or at least to know where to get the supplies to make one!.. Hey great video! Love your style! heyy i realyy hope u do moreee videos like these....and a video of everything in ur closet ur style is amazingg and keep it upp ilyy! Great video! Where did you get that fabulous cuff bracelet in your video (How to get super straight hair (blowdry & flat iron) ? please do more style videos!! I loved this! 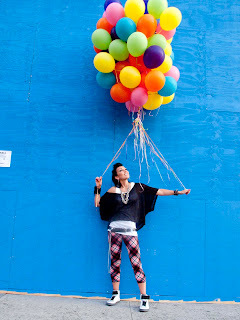 You are so amazing kandee! I dont know how you work, make videos, and have three little kiddoes!! i wish i could meet yoU! you light up my days! wooo!! yes i loved your outfit, your hair and makeup of course!! yayyyy, i made your blog, i'm on the picture with you...(will try to send you you more pics from glaminars..
LOVE the watch!! where did you get it?